Are You Unknowingly Making Your Seasonal Allergies Worse? 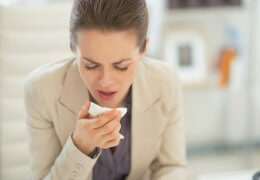 Home » Blog » Are You Unknowingly Making Your Seasonal Allergies Worse? This entry was posted in Blog, Health Insurance Blog on 04/22/2016 by admin. Anyone who suffers from seasonal allergies knows all about the sneezing, runny nose, and itchy, watery eyes. To compound the problem, experts suggest the much needed rainfall that soaked California and other parched states this year could lead to an exceptionally miserable allergy season. Of course, that’s not the kind of news any allergy sufferer wants to hear. But, what if you’re unknowingly making your seasonal allergies worse? Not possible, you say? Well, let’s make sure by offering some important tips to keep you from doing anything that might aggravate them. Are you taking the right medications for your symptoms? While regular over-the-counter (OTC) medicines, such as antihistamines, can help with your stuffy nose, sneezing and itchy eyes to some degree, they may only eliminate some of the symptoms, but not all, according to the Cleveland Clinic. You may require prescription steroidal nasal sprays to handle the multiple symptoms more aggressively, if your OTC medicine isn’t working. This could also include antihistamine eye drops to give you relief of allergy-related itchy eyes. Consult your healthcare professional to be sure you’re on the right track. Warmer winters and substantial rainfall can make certain plants, trees and other allergens – like ragweed, one of the primary causes of seasonal allergies in the United States – to bloom sooner. The thing to keep in mind is that most allergy meds, including OTC antihistamines, work best when taken well before your exposure to allergens to prevent your body from releasing histamines and other substances that contribute to your allergy symptoms. According to the Asthma and Allergy Foundation of America, it can take up to a month before you notice benefits. The problem here is – knowing when the spring allergy season will begin in your particular neck of the woods. And, that often leads to starting your meds too late. According to the Cleveland Clinic, pollen counts from grasses and weeds guaranteed to start your allergy day off with a sneeze are often higher in the morning. Getting an early start on the yard chores or doing a little running before work sounds great, but you may also be setting yourself up for a sneezing frenzy and runny nose. So, it may be a good idea to hold off on your outdoor activities until later. Stress is linked to a number of health-related issues that can cause harm to the human body. Apparently, stressing out during the day can even make your seasonal allergy symptoms worse. According to a 2014 study, researchers tracked the progress of 179 people with hay fever for 12 weeks by measuring their stress levels and noting reported flare-ups. The results indicated that the more stress they had, the greater the number and intensity of the allergy flare-ups. No one wants to hear that what they’re eating could be contributing to their seasonal allergies, but the American Academy of Allergy Asthma and Immunology says you may actually want to keep an eye on what you eat. As it turns out, more than half the people with allergies to certain pollens can also have an adverse reaction to certain produce, including apples, peaches and tomatoes. This is possibly due to the fact that proteins found in the produce are similar to those in the pollen. Should you experience allergy symptoms, such as itching or swelling of the mouth, tongue, or lips after eating any raw fruit or vegetable, you could have a condition known as Oral Allergy Syndrome or OAS. While having OAS isn’t considered dangerous, a person who is highly susceptible to allergies can suffer a systemic reaction, called anaphylaxis, which could be deadly. Causing systemic reactions, such as hives, vomiting or difficulty breathing, after eating raw fruits or vegetables. Although eliminating spring and summer allergies completely can be an arduous task, making sure you’re not complicating the problem can definitely work to your advantage.